After exploring Ho Chi Minh City, if you still have a few free days, doing a day trip to a nearby famous spot is definitely a good idea because there are so many things to see. Here are our top recommendations for a day trip options from Ho Chi Minh City - they are really worth your consideration. Check them out! Ho Chi Minh City is the most vibrant city of Vietnam. And if you have ever been here, you should definitely have to visit some interesting places that Vietnam Amazing Tours would like to introduce to you. 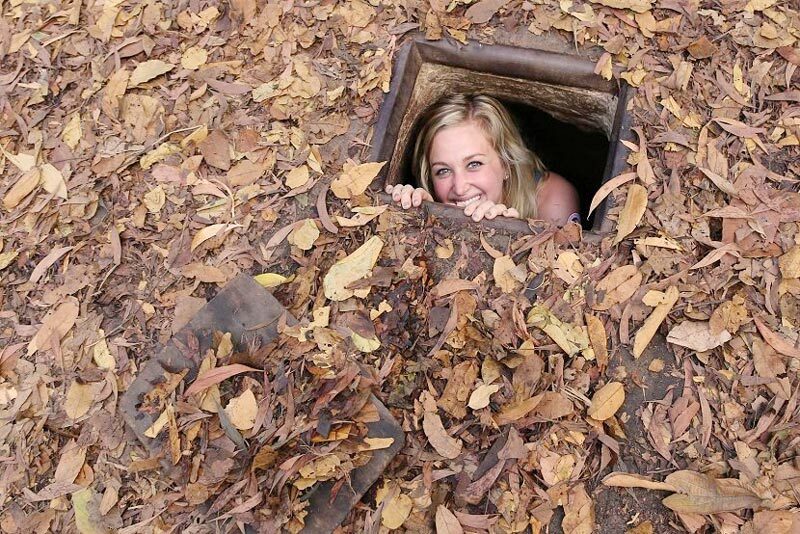 Known as one of the top tourist attractions in Southern Vietnam, Cu Chi tunnel day tour is always a top choice for travellers especially for those who give a particular attention to history and adventures. 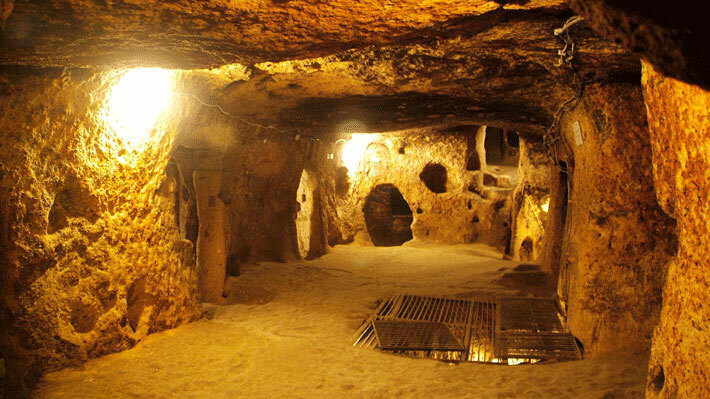 Exploring an underground tunnel network of about 250 km is sure to be an enjoyable experience. This day trip will give you a detail insight into the Vietnam War, as well as rural life. You can visit Cu Chi tunnels by car, motorbike or by boat. By car or motorbike: It takes about 1.5 hours to reach the tunnel (Ben Dinh). Most of the tours sold by the travel agents in the city ar half day (about 5 hours). 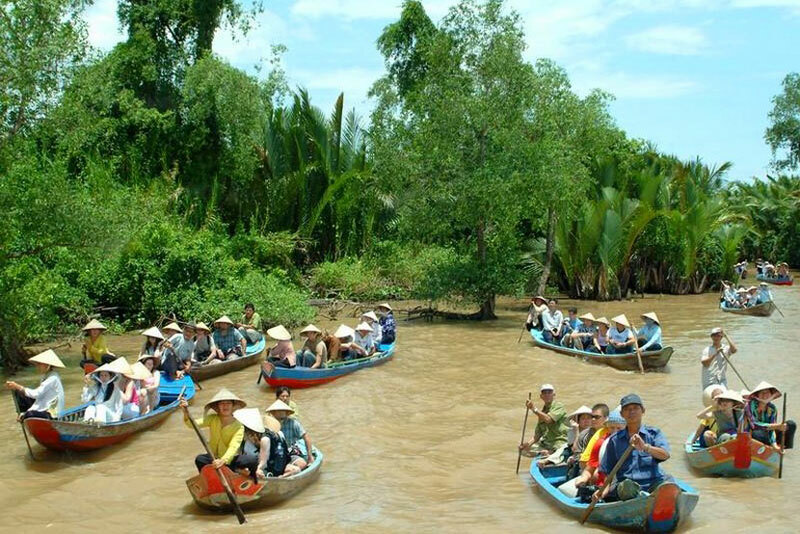 By boat: If you are interested in waterways, there are several boat tours that provide services to Cu Chi Tunnels such as Saigon River Tours or Saigon River Tours. By bus: You just catch two buses to get to Ben Duoc. First, take bus # 13 from the 23-9 park (near the backpacker street) to the Cu Chi Tunnel. Then transfer to bus # 79 from the station to Ben Duoc. Total travel time is about 2.5 hours. Mekong Delta is the most priority day trip! In Vietnamese, the Mekong Delta is called Dong Bang Song Cuu Long, which means "nine rivers." The Mekong River flows through seven countries / territories including Tibet, China, Myanmar, Thailand, Laos, Cambodia and Vietnam. This fertile area has been called the "rice bowl" of the country. In here you will learn more about the culture and people of the rural south. Enjoy the peaceful atmosphere of the Mekong River while on a boat trip through the vast coconut groves. In addition, you can be rewarded with fruits, candies from coconut which is very delicious.Beside that, there are many challenging dishes of travelers such as rat, snake, scorpion ... and if you do not know where to visit in the south of Vietnam then choose this trip from Ho Chi Minh City. In Vietnam there is a very unique kind of market that is only in the south. It's a floating market. Cai Rang floating market in Can Tho is the most popular floating market in the Mekong Delta. However, to capture the market, you may have to make a two-days trip because the market opens so early in the morning. 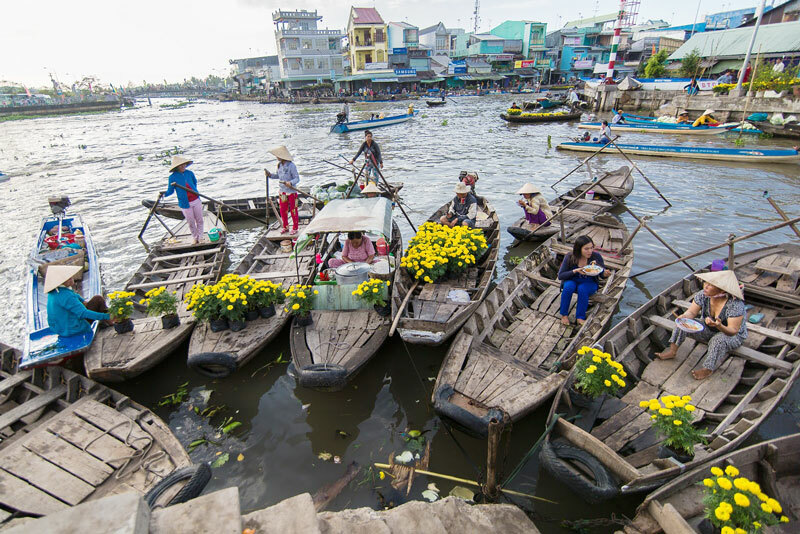 If you don’t have so much time, you can visit some other floating markets. You will have the opportunity to sail through the rivers and witness the fascinating life on the riverside of the boat where people is living on for their lifetime. In addition to floating markets, you can also take part in some activities such as biking around a village, taking a canoe ride through canals or enjoying fruit in the largest fruit gardens in Vietnam. There are always daily tour which departures from Ho Chi Minh City. Their job is to choose a tour which is suitable to your budget and with an experienced tour operator. And your job is just enjoy a good trip! Going on your own: In case you want to explore these destinations yourself, just rent a motorbike or a car if you have a group of 3-4 people. Of course, you need to have sufficient information about the destination and prepare it well. Here are some attractions Vietnam Amazing Tours would like to recommend to travelers. However, there are simpler ways to explore all of these attractions without having to bother about how to go, what to see and where to eat, let contact with our very enthusiastic consultants. Do no hesitate to ask questions. vietnamamazingtours.com always accompany you on every trip.